Clothing Store Insurance Kentucky. Clothing stores can sell a variety of new and used clothing and accessories for men, women, children, and infants. Some are "specialty" stores that sell to one type of customer, such as men, or sell a specific type of merchandise such as hosiery, wedding dresses, or athletic wear. The store may be independent or part of a regional or national chain. Tailoring or alteration services may be offered to customers. Some may offer delivery services. So do you own or are you seeking to start a clothing store? If so, it is very crucial, as a business owner, that you cover yourself from potential lawsuits by buying business insurance. However, even before you buy insurance, you first must have a solid business plan outlining your risks as a business owner and ways you plan to cover these risks. First, you must know what your risks are - as not all of your risks as a store owner can be covered simply by buying a basic clothing store insurance Kentucky policy. 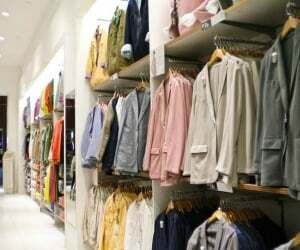 Clothing store insurance Kentucky protects your shop from lawsuits with rates as low as $37/mo. Get a fast quote and your certificate of insurance now. To identify the risks of your shop, you can simply consult with an insurance professional or even an attorney. The risks for such a business can be very wide owing to the several different exposures involved with the business activities. Before you pay costly fees for advice from an attorney, we can at least assist you to identify some of the potential claims which could arise and ways your clothing store insurance Kentucky coverage can protect you in the event of an insurance claim. Request a free Clothing Store Insurance Kentucky quote in Alexandria, Ashland, Barbourville, Bardstown, Beaver Dam, Bellevue, Benton, Berea, Bowling Green, Brandenburg, Cadiz, Calvert, Campbellsville, Carrollton, Central, Cold Spring, Columbia, Corbin, Covington, Crescent Springs, Crestview Hills, Crestwood, Crittenden, Cynthiana, Danville, Dawson Springs, Dayton, Douglass Hills, Eddyville, Edgewood, Elizabethtown, Elsmere, Eminence, Erlanger, Flatwoods, Flemingsburg, Florence, Fort Mitchell, Fort Thomas, Fort Wright, Frankfort, Franklin, Georgetown, Glasgow, Graymoor-Devondale, Grayson, Greenville, Harrodsburg, Hartford, Hazard, Henderson, Highland Heights, Hillview, Hodgenville, Hopkinsville, Hurstbourne, Independence, Indian Hills, Irvine, Jeffersontown, La Grange, Lakeside Park, Lancaster, Lawrenceburg, Lebanon, Leitchfield, Lexington-Fayette, London, Louisville, Ludlow, Lyndon, Madisonville, Marion, Mayfield, Maysville, Middlesborough, Middletown, Monticello, Morehead, Morganfield, Mount Sterling, Mount Washington, Murray, Newport, Nicholasville, Oak Grove, Owensboro, Paducah, Paintsville, Paris, Park Hills, Pikeville, Prestonsburg, Princeton, Prospect, Providence, Radcliff, Richmond, Russell, Russellville, Scottsville, Shelbyville, Shepherdsville, Shively, Simpsonville, Somerset, Southgate, Springfield, St. Matthews, Stanford, Stanton, Taylor Mill, Union, Versailles, Villa Hills, Vine Grove, Walton, West Liberty, Wilder, Williamsburg, Williamstown, Wilmore, Winchester and all other cities in KY - The Bluegrass State.